We will install the tools needed for creating, deploying (uploading) and managing websites. We will get everything ready so we don't have to worry about any of this in the next chapters. The steps are the same for all computers, however here it is explained for Linux, while for Mac the procedures are similar and for Windows you'll have to search how to install the same tools as it's more difficult. These are some of the common tools used for developing modern websites. They will be used to create a static (simple) website in the first chapters. Once Atom is installed we add the fold­er to Atom as a new pro­ject. From Atom, File > Add pro­ject fold­er... and find the newly created fold­er. It should be displayed on the left at this point. Git is a terminal (command line) tool to handle code versions, collaborations and to deploy (upload) websites. Github is the most used online web for Git projects, and it also allows to publish websites. Git and Github are totally different things. 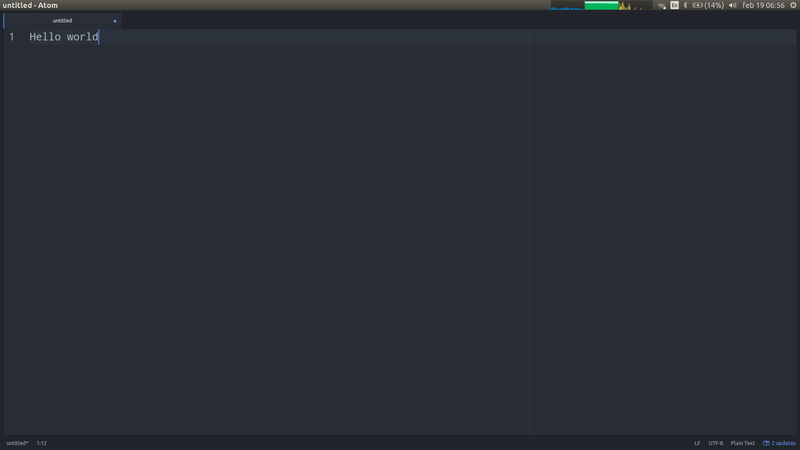 This means open the terminal, write that command and press enter. For macOS follow these instructions and for Windows these instructions. Lastly we'll setup our computer so Github recognizes it. For that, we'll install our SSH key in Github following these steps. There are few ways of authenticating on Github, but this is the best one long-term speaking. Let's see the web we are making in the browser. Right now it should be empty, but open the file index.html with our pre­fer­red brows­er. Go to your File Manager (Finder/Nautilus), right click on the file > open with > Firefox/Chrome. An empty tab should open on the browser you chose. Now let's go back to Atom, writ­e the good ol' "Hello world" in­side index.html and save the file with Ctrl+S. Then go to your brows­er and re­fresh the web­site with F5 or Ctrl+R. You should see the new chan­ges. 1. Make changes in some of the files (ex­plained in later chapt­ers). 4. Re­fresh the browser window with or Ctrl+R. This should display two version numbers in the terminal.